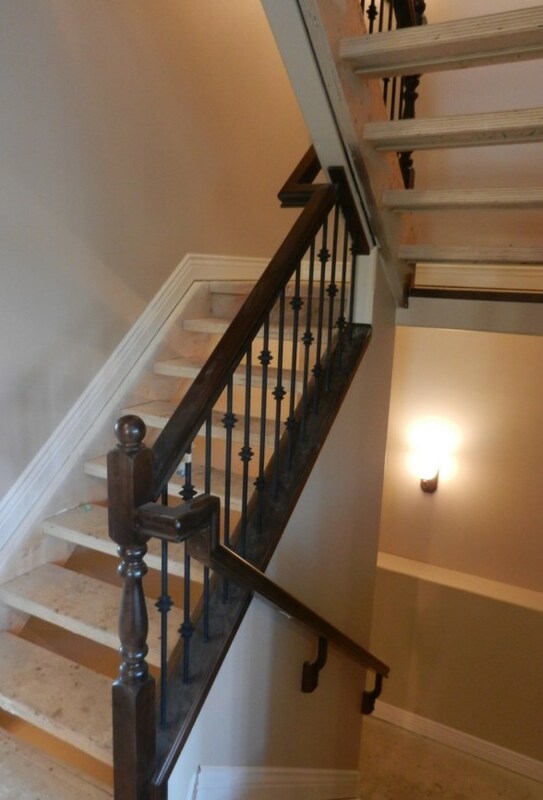 Stain or paint grade straight maple/oak railings complete install by our carpenters on all new homes or renovations. Make repairs to existing maple/oak railings. Perform out of town services at extra cost. Offer a warranty on our railings. If you would prefer to install our railings yourself, we also provide the option for our customers to purchase any of the materials on our products page; delivery is included and materials can be dropped off at a location of your choice. Please allow 7-14 days for material packages to be assembled and delivered. Payment for materials upon delivery is required. Ask for a free quote today!